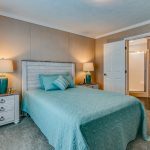 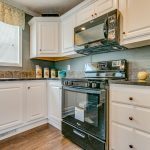 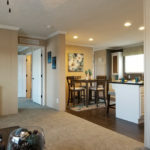 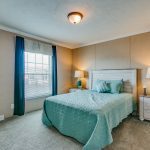 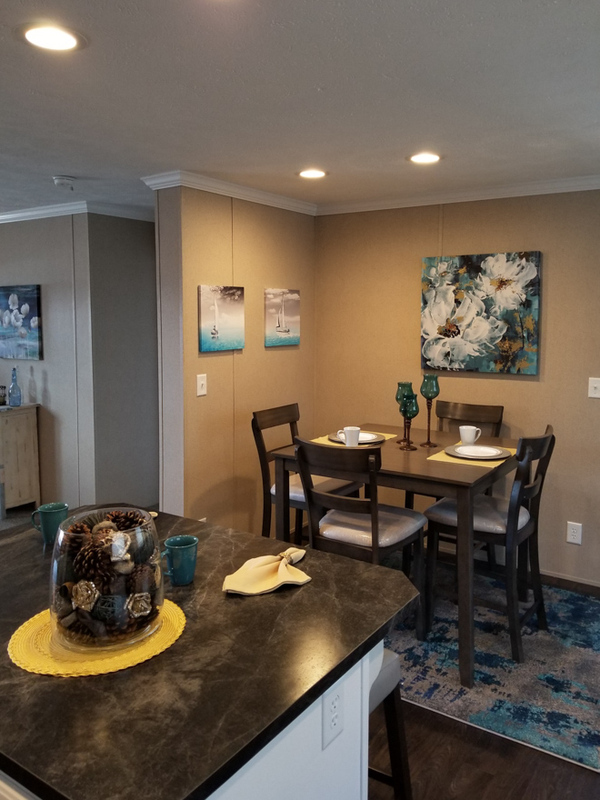 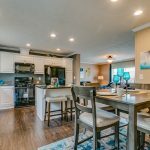 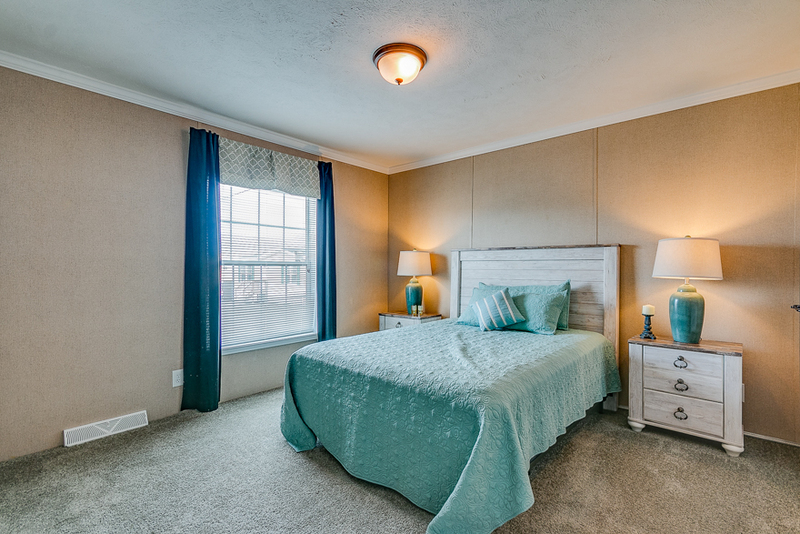 The Rockville model has 3 Beds and 2 Baths. 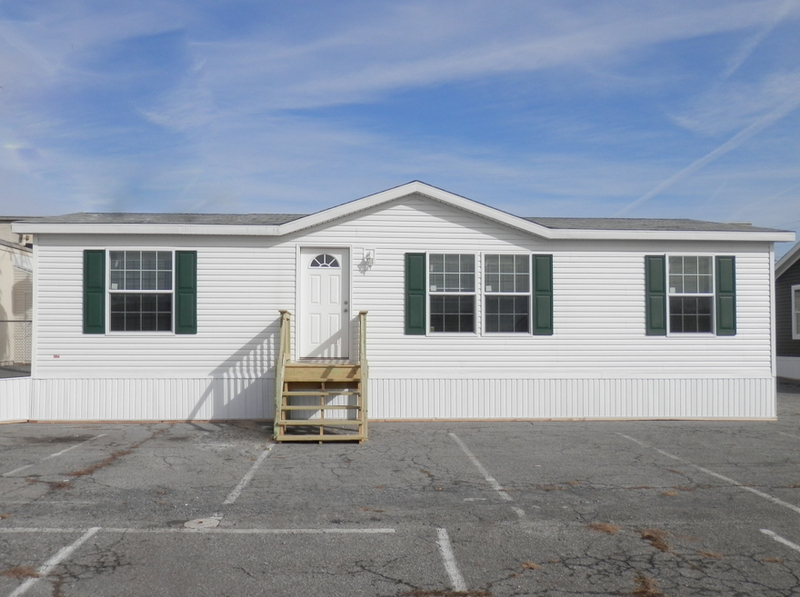 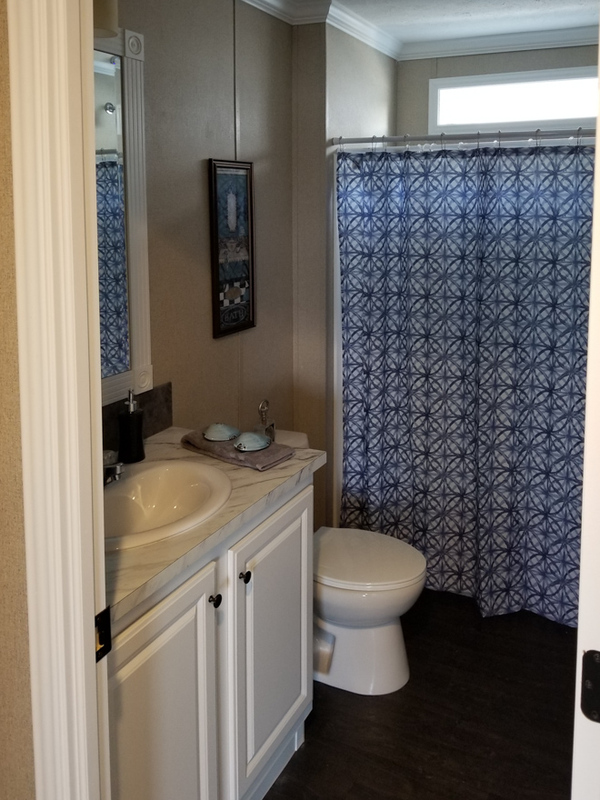 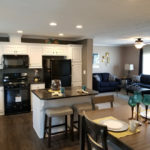 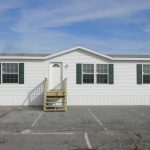 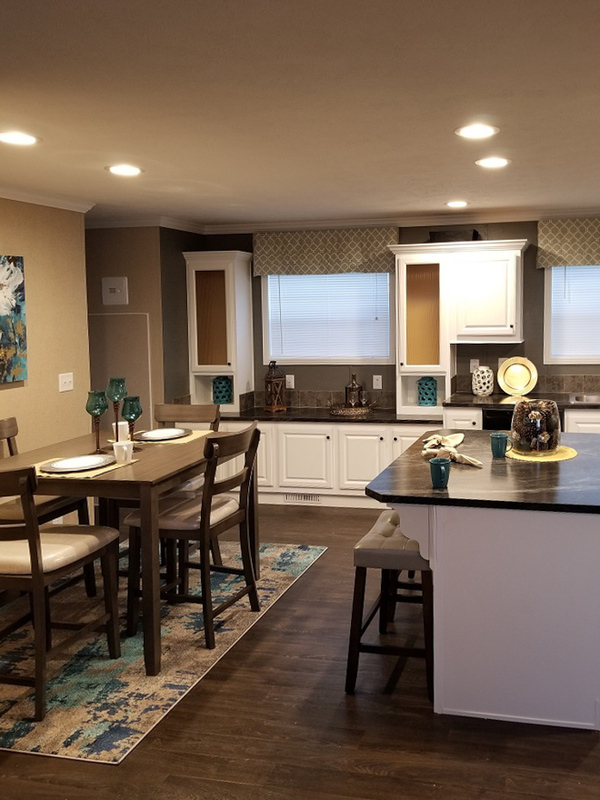 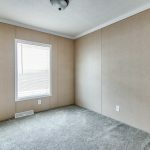 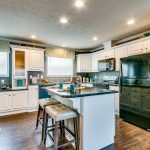 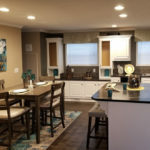 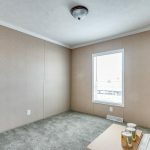 This 1158 square foot Double Wide home is available for delivery in Pennsylvania, New York, New Jersey, Massachusetts, New Hampshire, Maryland, Connecticut, Delaware, Vermont, Rhode Island. 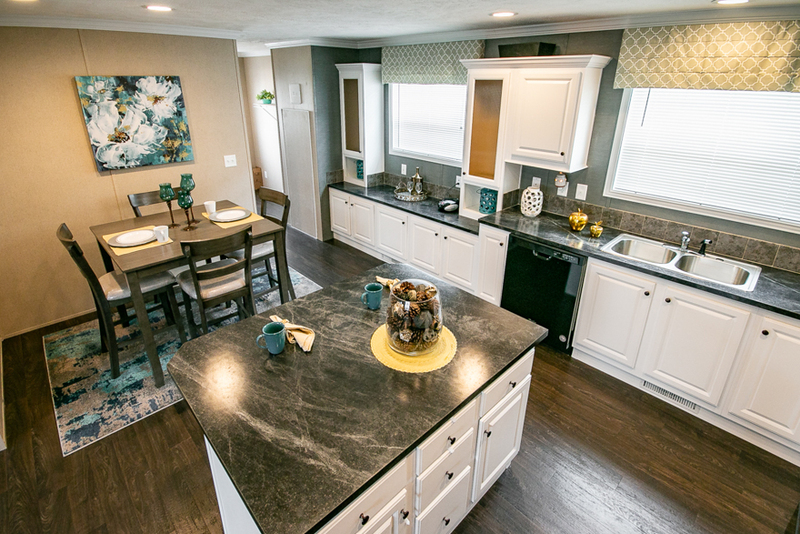 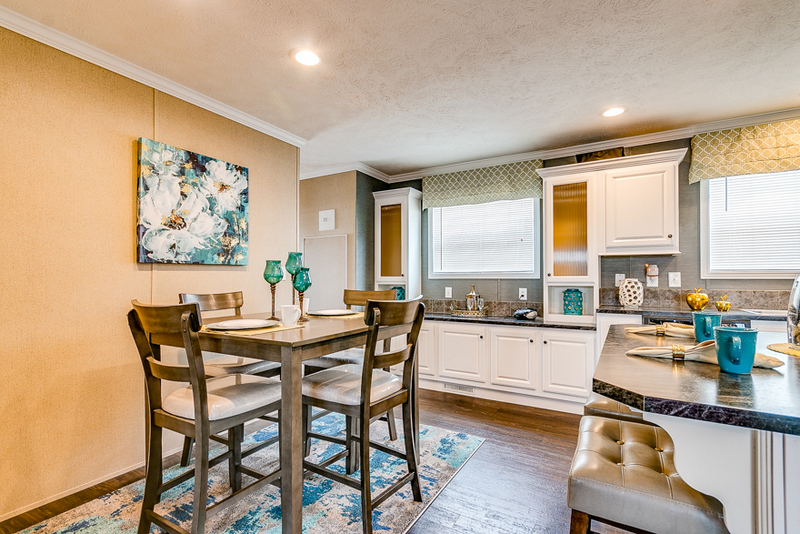 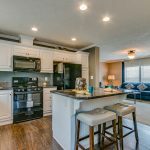 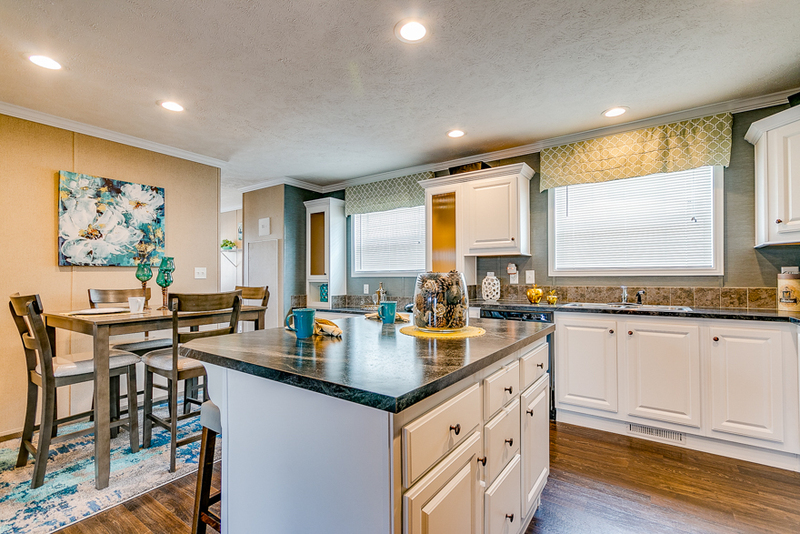 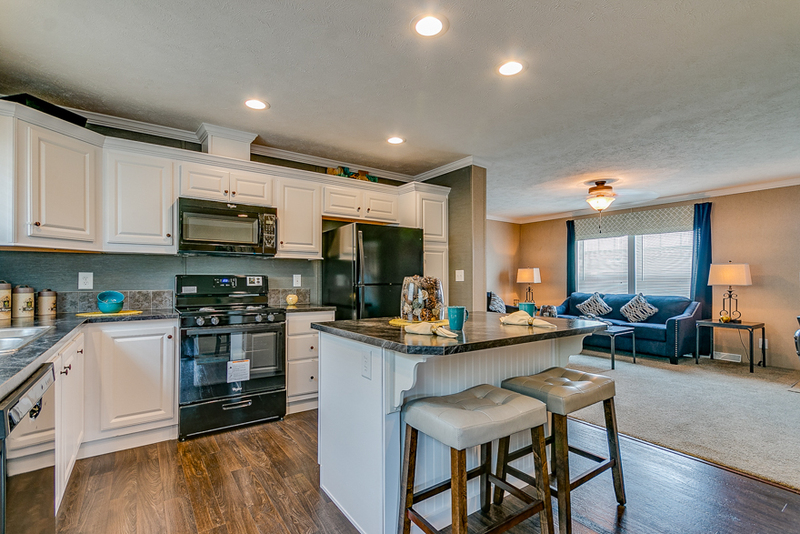 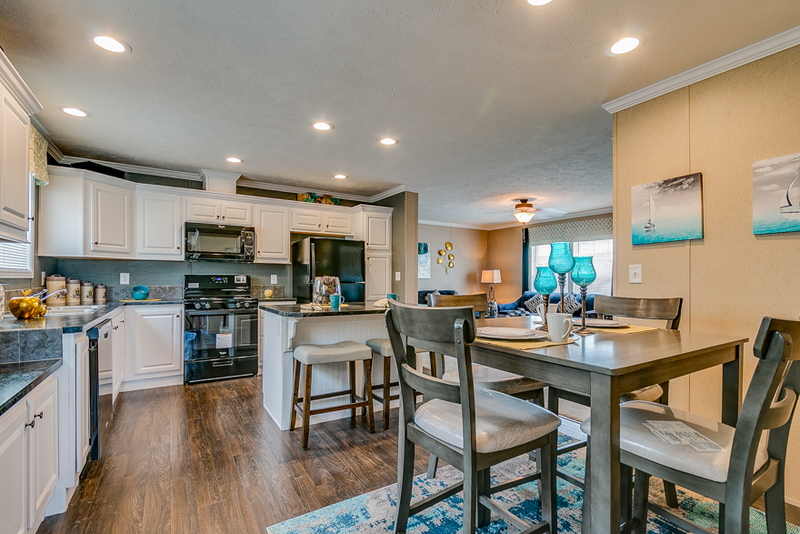 The most noteworthy feature of the 44’ long Rockville model is the dreamy kitchen layout. 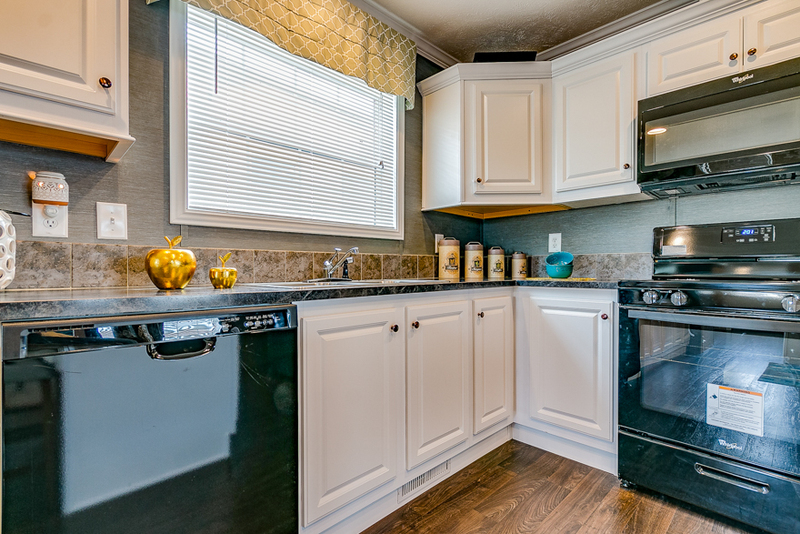 This type of kitchen design yields substantial countertop surface, which is a major bonus for the home cook. 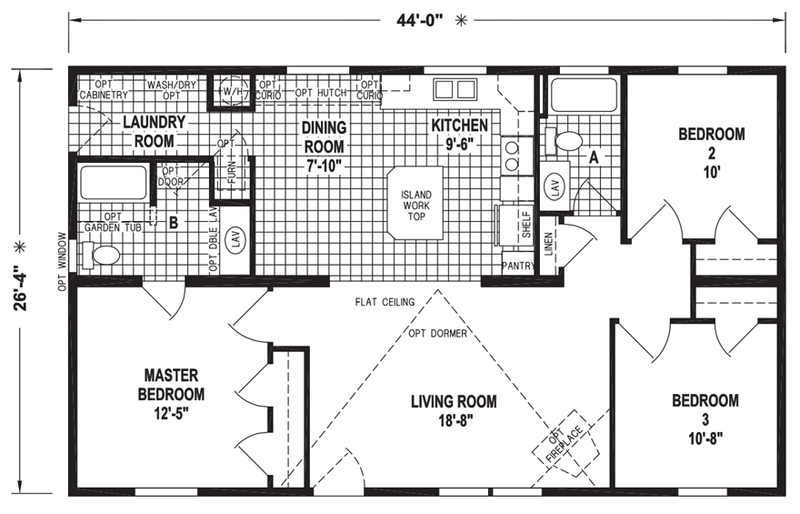 The master suite configuration delivers privacy where it’s needed and the spacious laundry room can accommodate extra cabinetry. 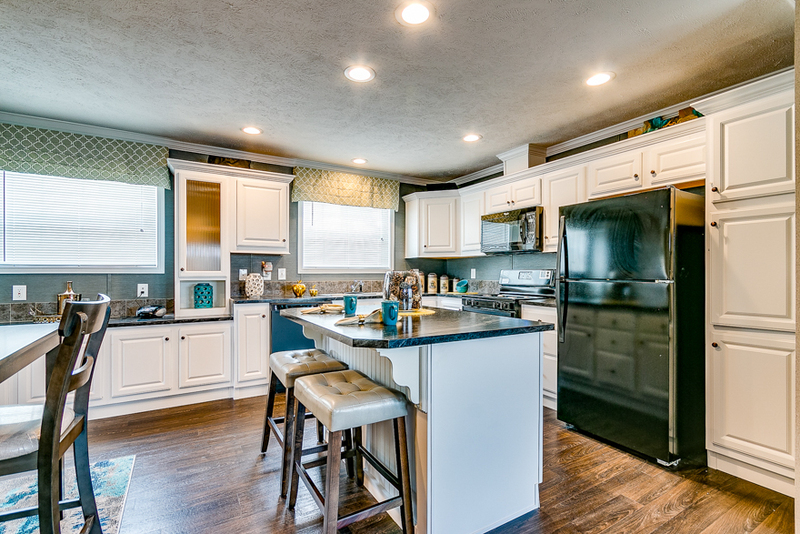 Kitchen shown with Standard Island, Flat stipple Ceiling and LED Recessed Lighting . 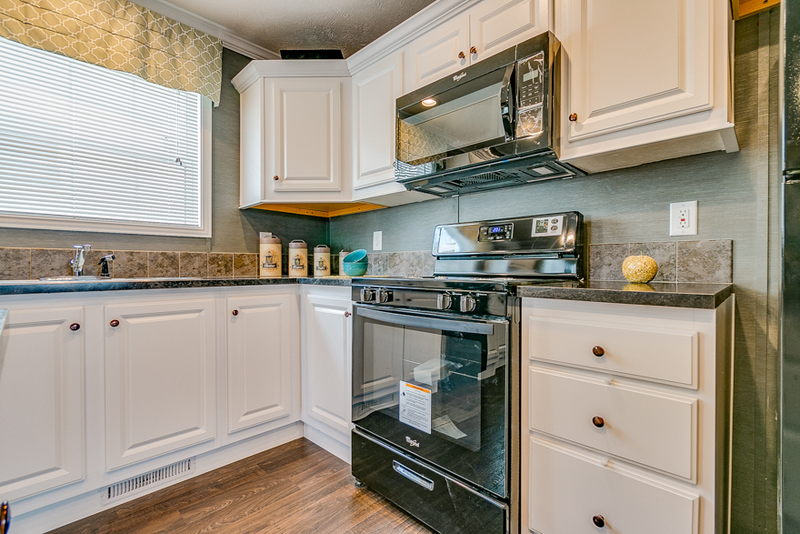 The Optonal Range Hood Microwave is also shown with the Standard Referigerator and Gas Range. 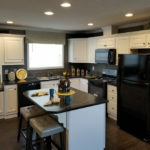 Kitchen shown with Standard Island, Raised Pannel White Cabinets with Jet Sequoia countertops. 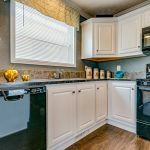 The Rangehood Microwave and Dishwasher are upgrades. 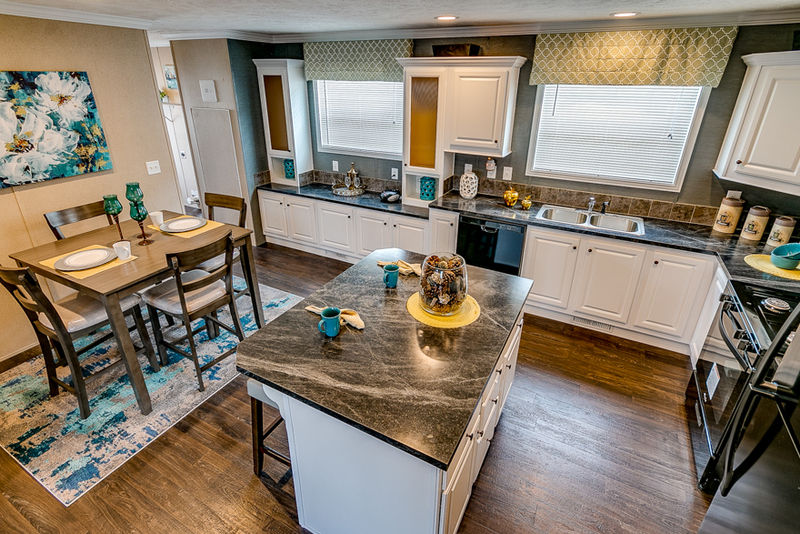 Dining Area shown with Standard Island in Kitchen. 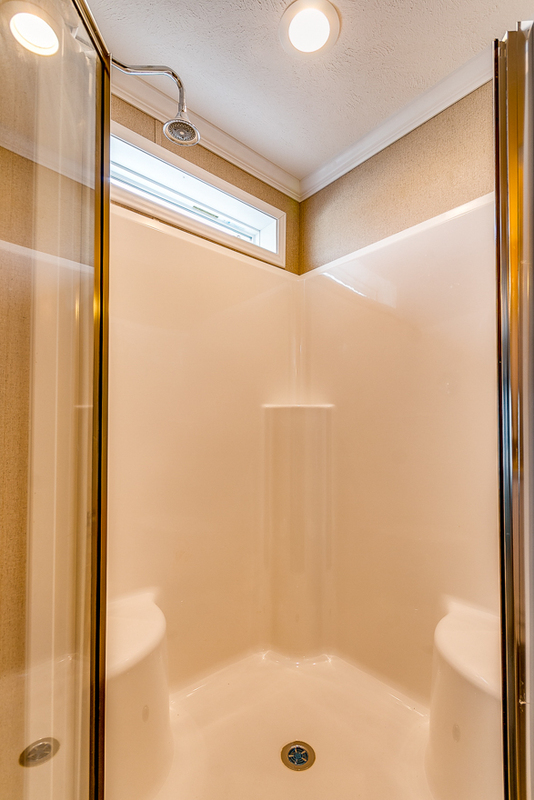 Standard Flat ceiling with Recessed LED Lighting. 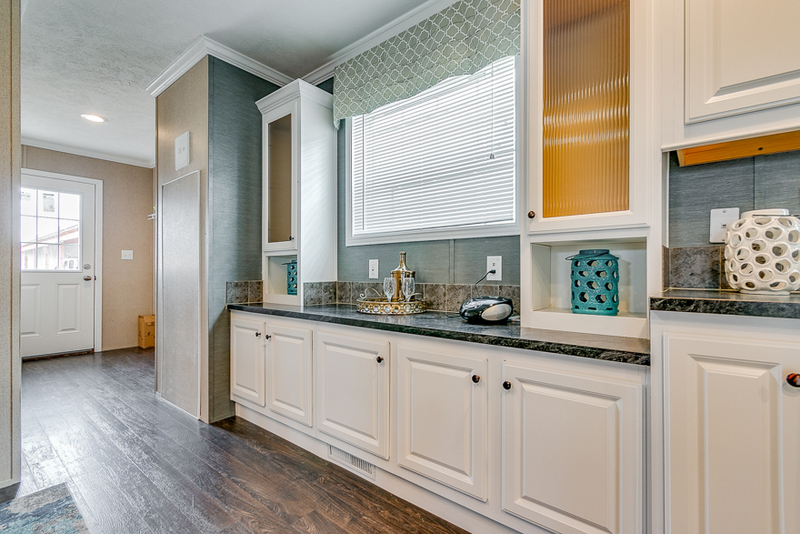 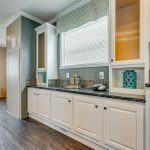 3″ White Cove Molding is an upgrade option. 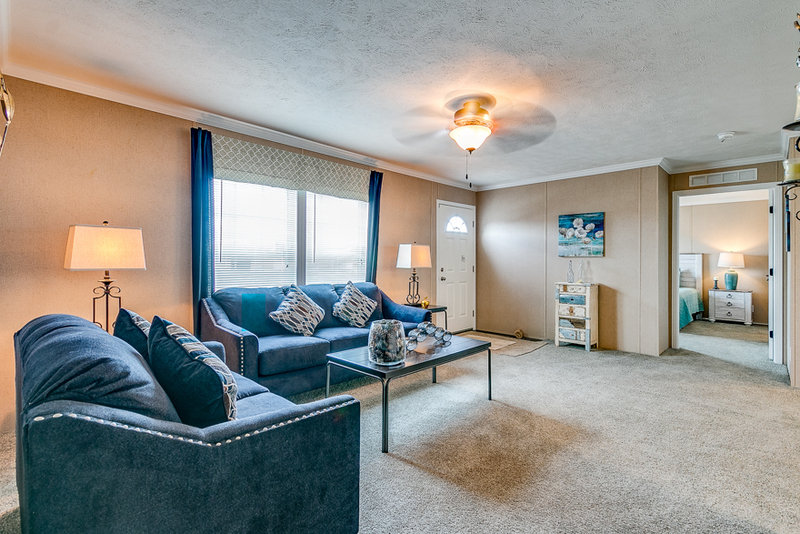 Living room shown with optional Lighted Ceiling Fan and 3″Crown Molding. 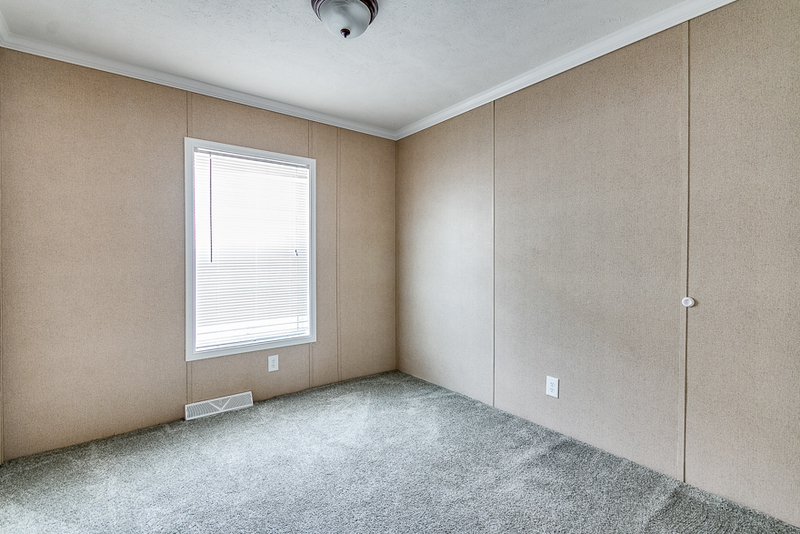 Miniblinds and Curtains are standard in the Living Room. 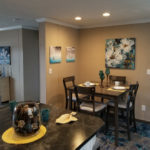 View from Living Room into Kitchen Dining Room. 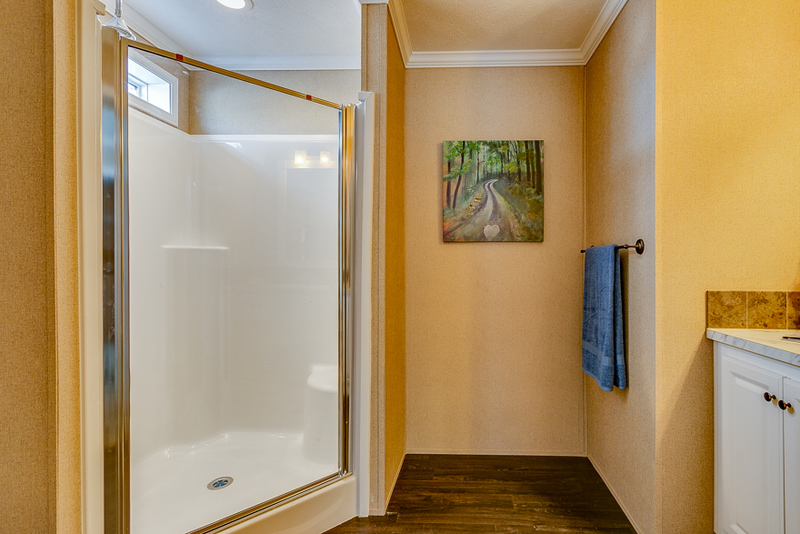 Recessed LED lights are standard. 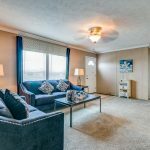 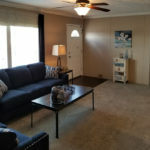 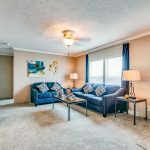 The Ceiling fan and 3″ Crown Molding are upgrade items. 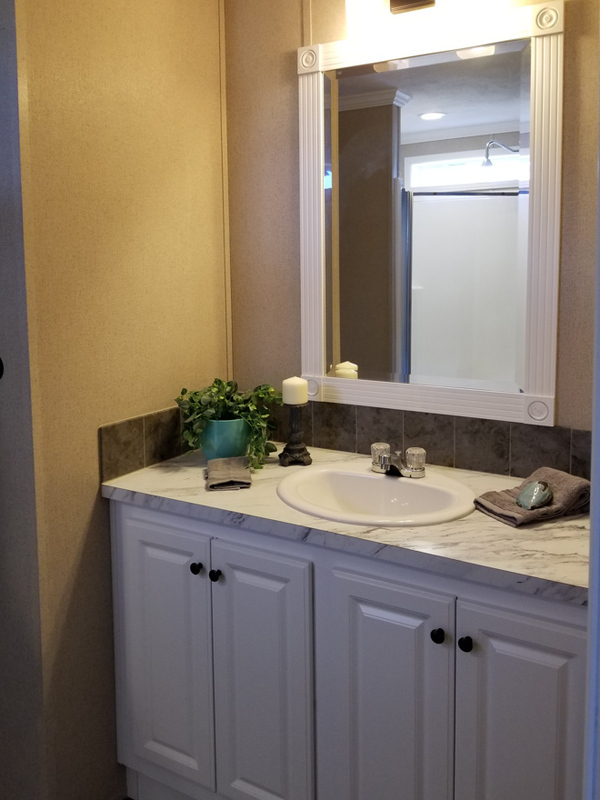 Hall Bath shown with optional 3″ Cove Moding Throughout, Optional Ceramic Backsplash, and optional Fluted Trim around Mirror. 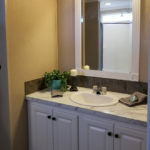 Master Bath Vanity shown with Optional Ceramic Backsplash and Optional Fluted Trim around Mirror and Upgraded Vanity Lights. 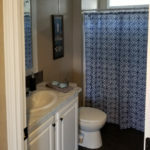 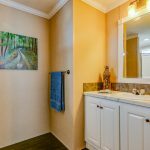 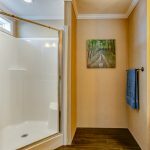 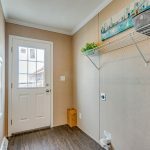 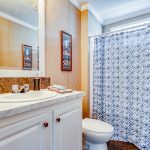 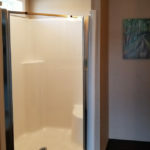 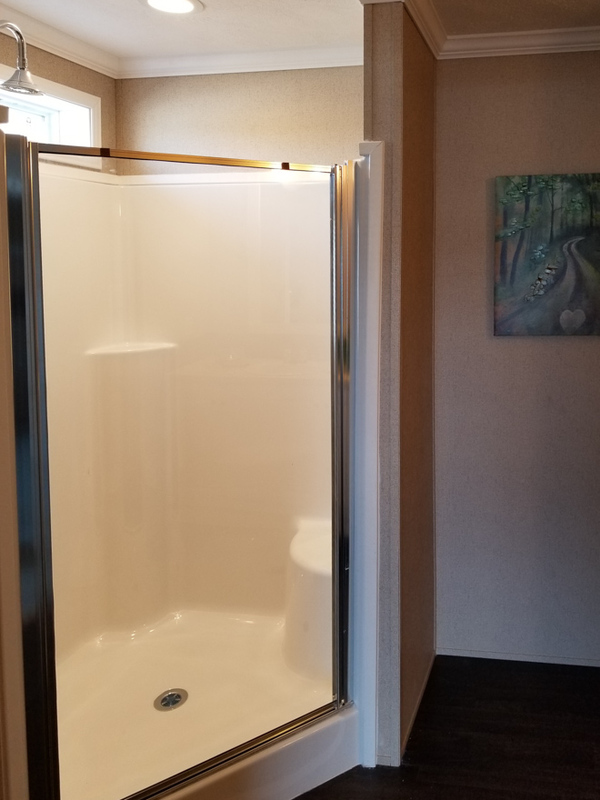 Optional corner Shower in Master Bath. 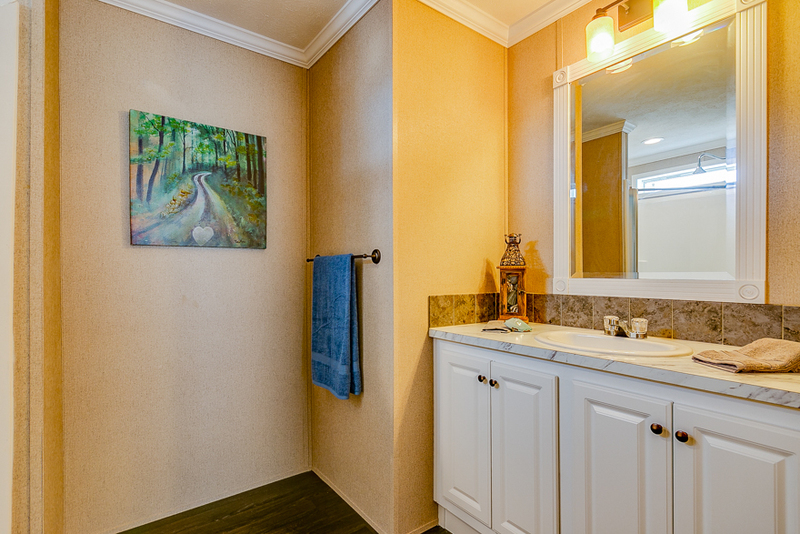 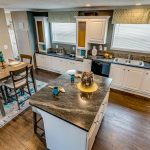 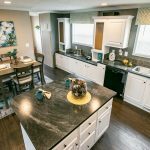 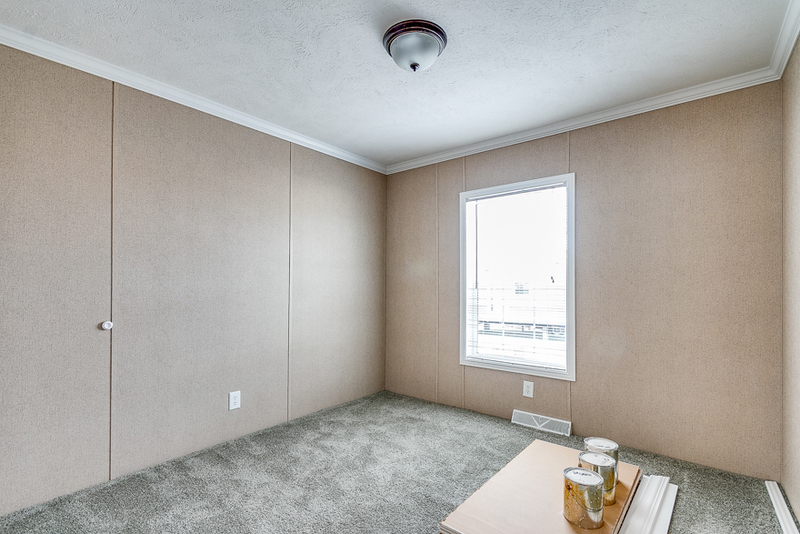 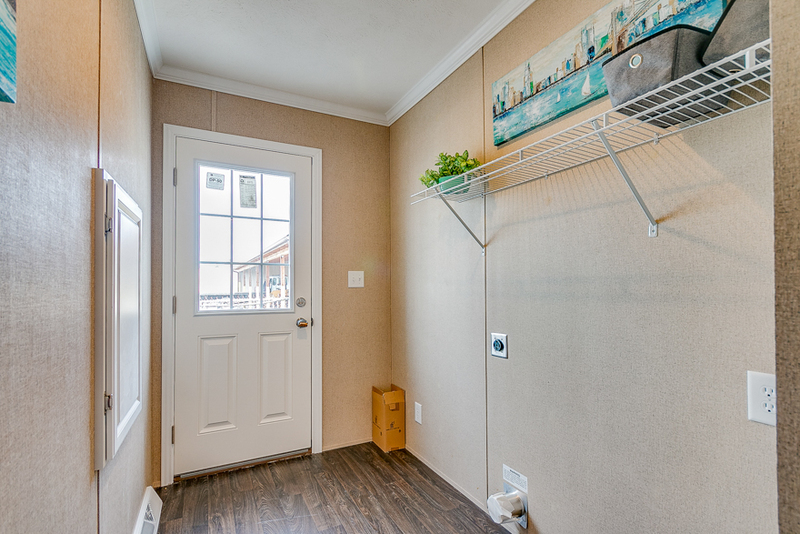 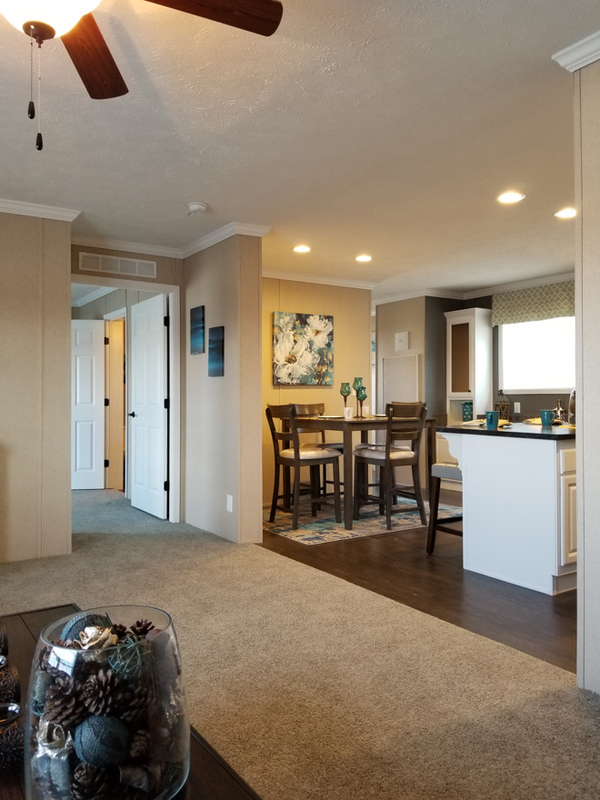 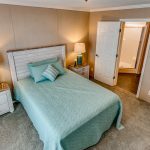 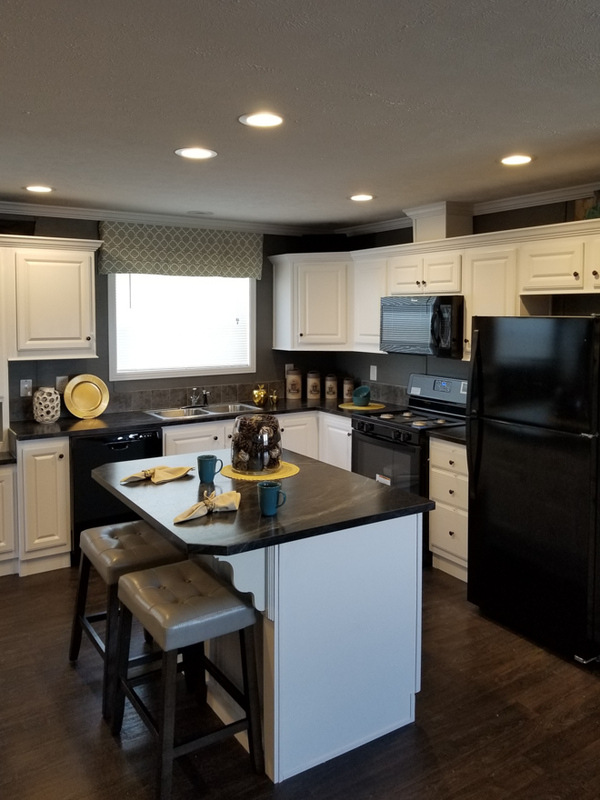 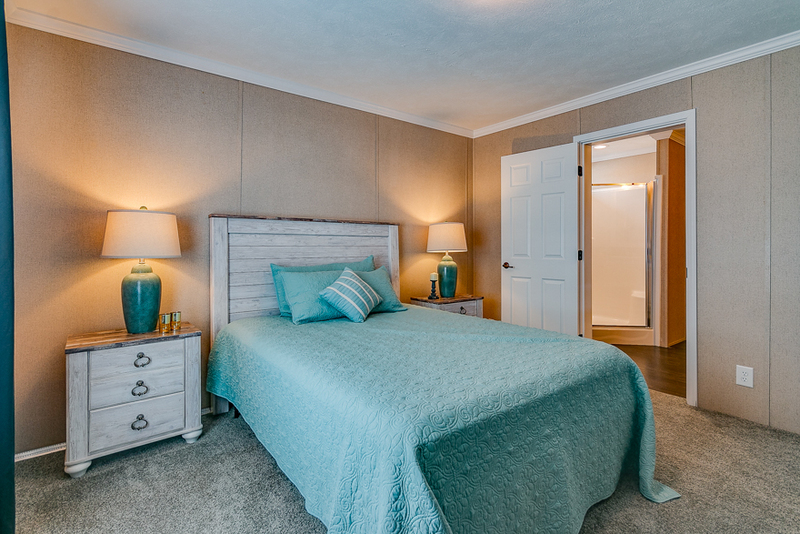 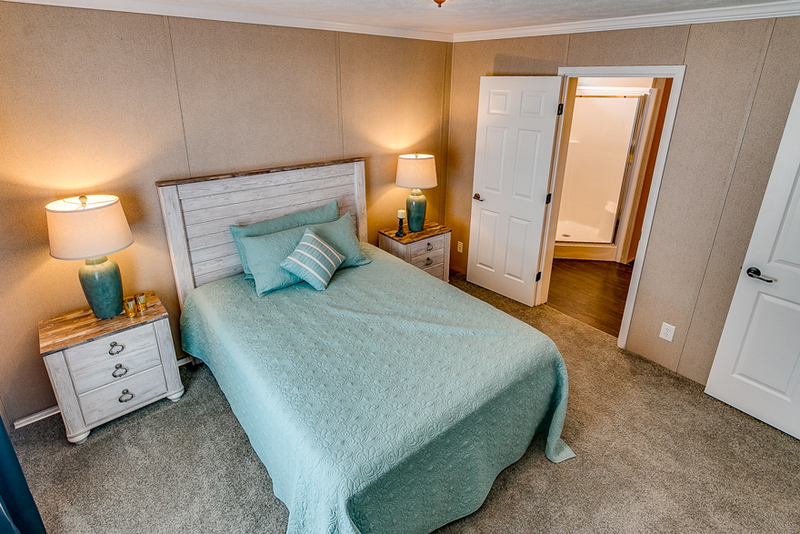 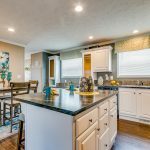 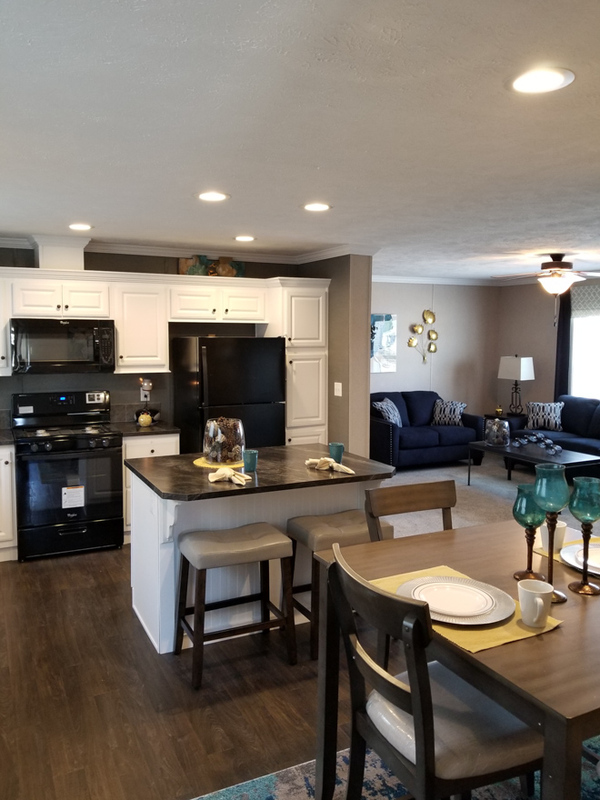 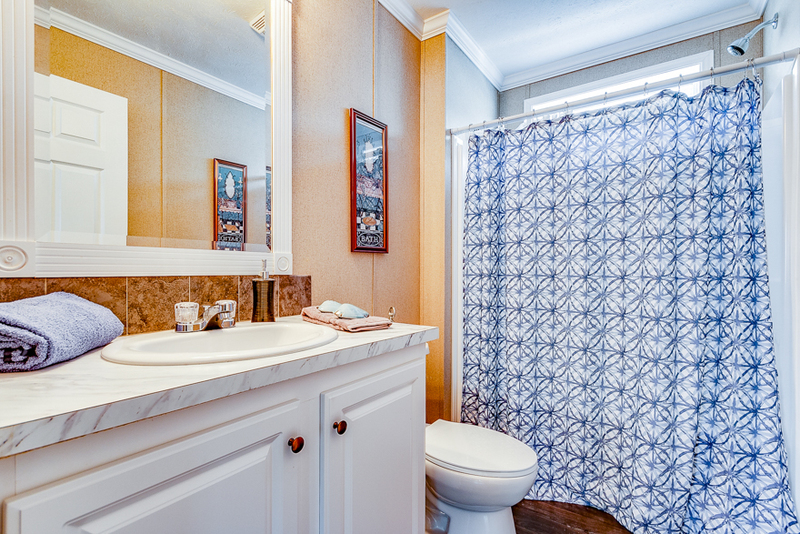 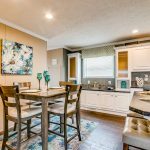 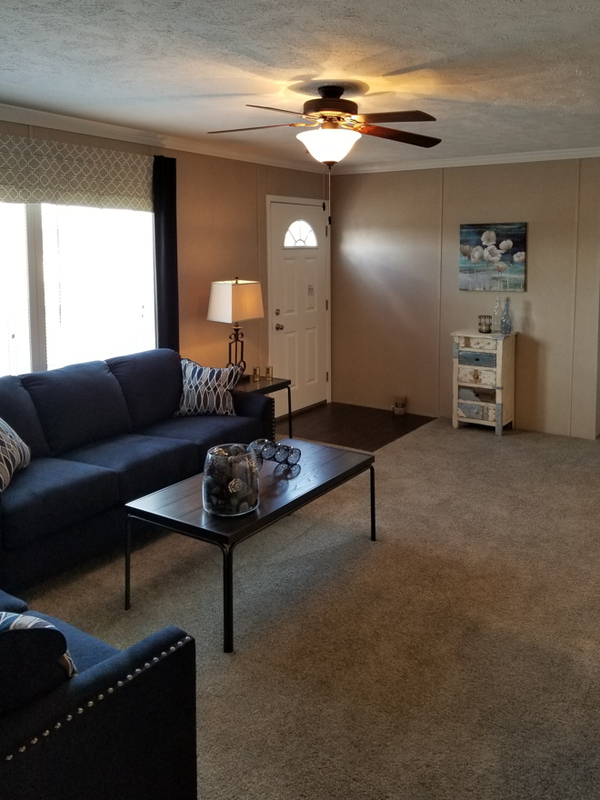 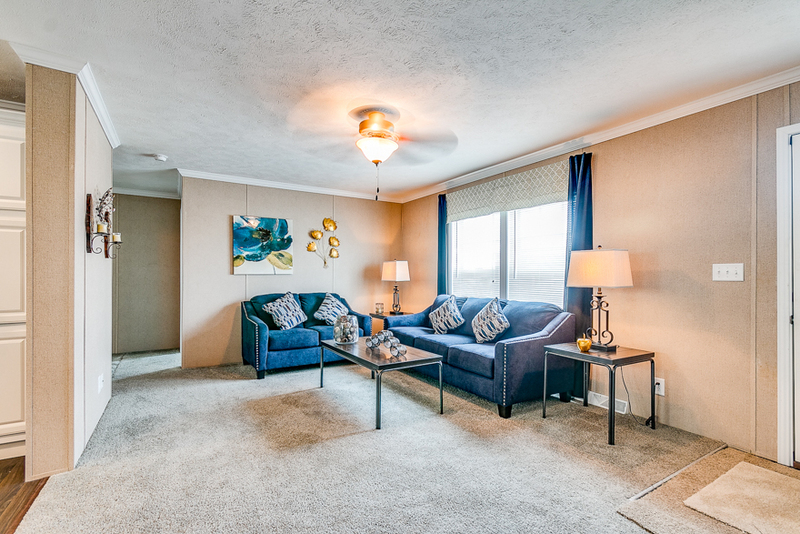 Ask your housing consultant about the other great features that come standard on the Rockville manufactured home.